Jordynne Grace won her debut match tonight with of course, a bearhug. She was in with Katie Lea and they strangely gave Katie most of the offense. This was a very low key debut for Jordynne. On the plus side both women hit double bis. And Allie’s gone off with Jim Mitchell and Su Yung to the “dark side.” This story is moving at a snail’s pace. Yes it was certainly low key. No buildup at all. They just fed a seasoned vet in Katarina to Jordynne to make her look good. I did like how Don Callis compared Jordynne to Rhino. A low to the ground fireplug who is athletic, explosive, and incredibly strong. Of course WWE ruined what Rhino once was. It was a competitive match. Of course you have to keep a two time Knockouts Champ in Katarina somewhat strong. But they did show that Jordynne could turn a match rather quickly with her bearhug. Hopefully Impact will slowly build Jordynne. Maybe not give her a Goldberg-esque push, but feed her lower level Knockouts like Alisha Edwards or Kiera Hogan. Maybe build a feud up with Katarina. How's this for ratings? Have Jordynne face Rebel! Have Rebel give Jordynne a competitive match, and then slowly break her down with a bearhug. 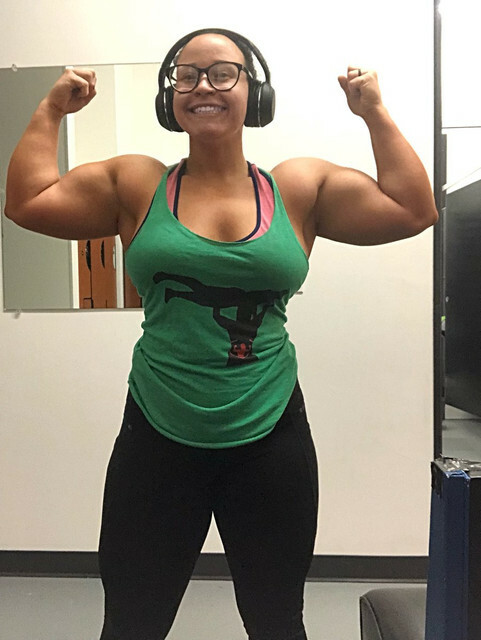 Well, Jordynne might get the rest of the roster to flex. Katarina's was a bit disappointing, but I think she wasn't trying too hard though. A sign that Gail may return to the ring to face Tessa? Spoilers for the next couple weeks (which I won't divulge) show that they'll be involved. Whether that's as far as it goes or leads to a match between them remains to be seen, but what's being set up has the potential to turn physical. Gail adds a good star-power dimension to this situation. And if she does feel up to a return match, Tessa -- for all the intensity and physicality of her style -- is as safe a worker as there is. I thought Gail retired because she had her own neck issues ? Another week, another semi competitive match between Katarina and Jordynne Grace. No storyline buildup. No interviews. Just Katarina issuing the bulk of the offense until Jordynne is able to lock in her bearhug. Really makes you start wondering where they're going with this. Yes! Unless they plan on doing something with Katerina, this too should’ve been more of a squash. More like Taya’s match with Ray Lyn. So far they’re not putting over Jordynne that strongly. She did! But most wrestlers who retire just can’t seem to stay that way. I’m not interested in her match with Tessa unless she’s there to put Tessa over. Gail was great, but we don’t need another run of her with the belt. 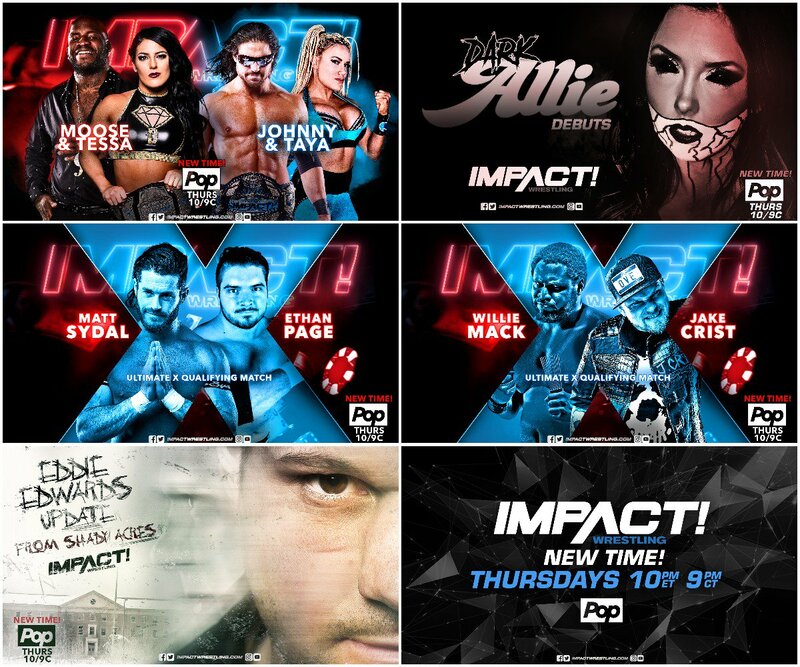 Impact only has two storylines for their knockouts. Tessa vs. Taya, and the continuing saga between Su Yung, Allie and Kiera Hogan. The latter storyline is desperately awaiting the eventual return of Rosemary. Other than that, any knockout is destined to be placed in lower card Hell. Jordynne's match was basically a cool off between the story of LAX and the Lucha Bros and whatever Eli Drake is doing. If this keeps up, the push that they're giving The Rascals is easily going to upstage anything that they're giving Jordynne Grace. It probably won't be until the eventual end of the Tessa Taya program, and the return of Rosemary that they'll ever start to do anything with Jordynne. The match between Tessa and Taya is easily the biggest draw going into Homecoming. Much bigger than Brian Cage's Option C run into facing Johnny Impact. Although both programs are what is driving Impact at this point. Tessa has been absolute money for Impact. For Impact to cool her off, they'd have to have something serious in mind. Quite possibly Rosemary's return. Pretty sure Gail would put Tessa over. If she comes back, it would be for one match or program. On her social media, she often says she doesn't want to put her body through the wear and tear any more. She basically runs the KO division and at this point she'd want to build up Tessa and other KOs, not put herself at the center. She knows who they're building around. The mixed tag was really good. It was done Mixed Match Challenge style, except without the 7 second dance breaks. The women were mostly featured, since they have the program and Moose’s current feud is Eddie Edwards, not Impact. It was set up to further the notion that Taya can beat Tessa for the title. This could happen, but likely not because it’s too soon for Tessa to drop it. Allie’s match with Heather Monroe though was not good at all. Allie loses all her fire as a zombie, and that’s her major asset. Her wrestling isn’t strong enough to pull off this gimmick. Rosemary needs to come along and save this storyline quick. Just as I expected, Jordynne Grace is being buried into a storyline with Katarina. Since Katarina can't beat Jordynne, she's now bringing in someone who might, Ruby Raze. Never heard of her, but she looks like any thick, almost overweight, wrestler on the Indie scene. Are we supposed to believe that some big girl is going to give Jordynne trouble? Hopefully she'll get out of this program sooner, rather than later. Spoilers from the tapings we're seeing now suggest she'll play a role in a more prominent women's program soon, at least for one week. Since the last two Thursdays of the year are clip shows, that'll be either this week or the first week in January, just ahead of Homecoming. We'll see if that's a one-off or a preview of further involvement. That Dark Allie debut was absolutely horrible. She's just not believable as a heel. She's no "zombie". If she slaps herself, then she must have a soul, at least a tormented one. It just doesn't work for her.